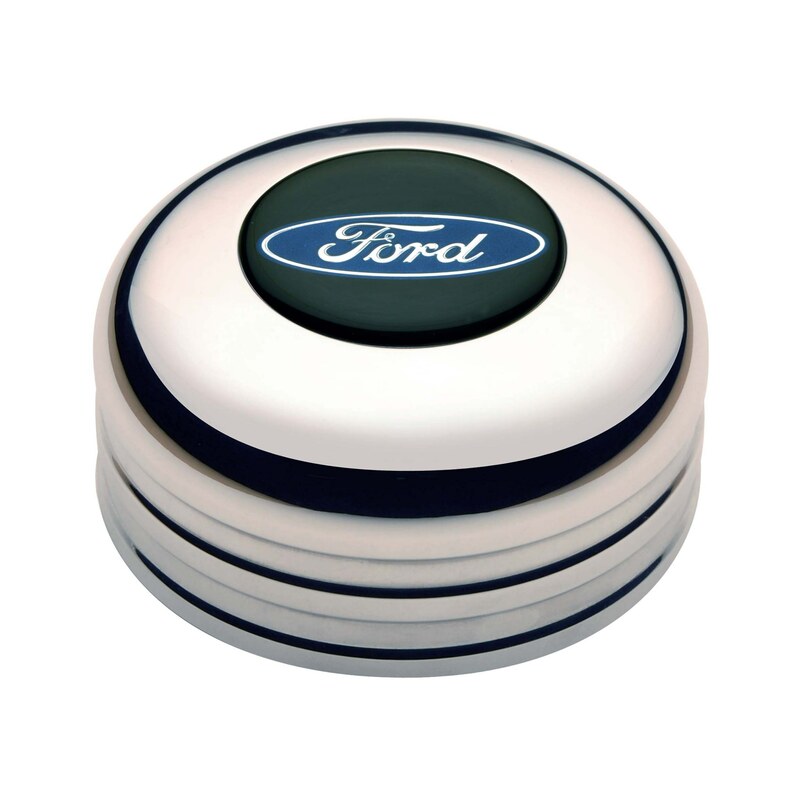 This colored Ford Oval emblem horn button is beautifully polished and will highlight any GT3 Wheel with style. Ford Oval Color Emblem Horn Button. "Sure-lock" O-ring design ensures your horn button won’t "pop-off" in the middle of the night! Button is 3" in Diameter and 1.5" high. 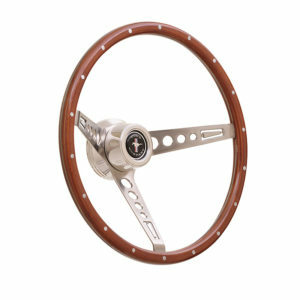 GT3 horn button is interchangeable with any standard 3-bolt steering wheel. Click the image below to see our selection of GT3 Wheels. To find the correct installation hub, click on the GT3 Application Guide. 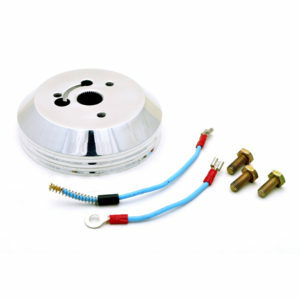 Use with GT3 Wheels, GT3 Installation Hubs or 3-Bolt Aftermarket Wheels and Installation Kits.